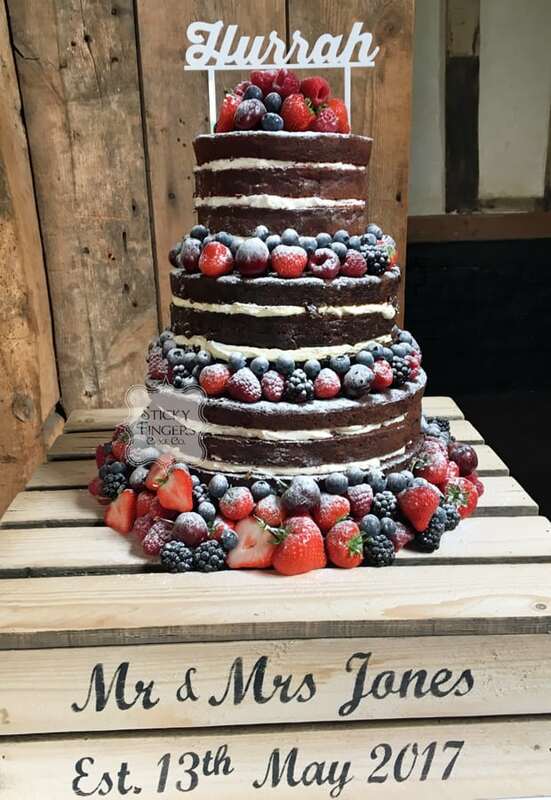 They chose to have a 3 tier naked wedding cake with a seasonal fresh berry decoration and a dusting of icing sugar to finish it off. The flavours they chose were Black Forest, Carrot and Pecan and Red Velvet, a really gorgeous mixture which gave the cake the appearance of being lovely and dark and decadent. Yum! To top off the rustic feel the cake was displayed on a beautiful wooden crate personalised by the happy couple. Wishing you both a really long and happy life together!